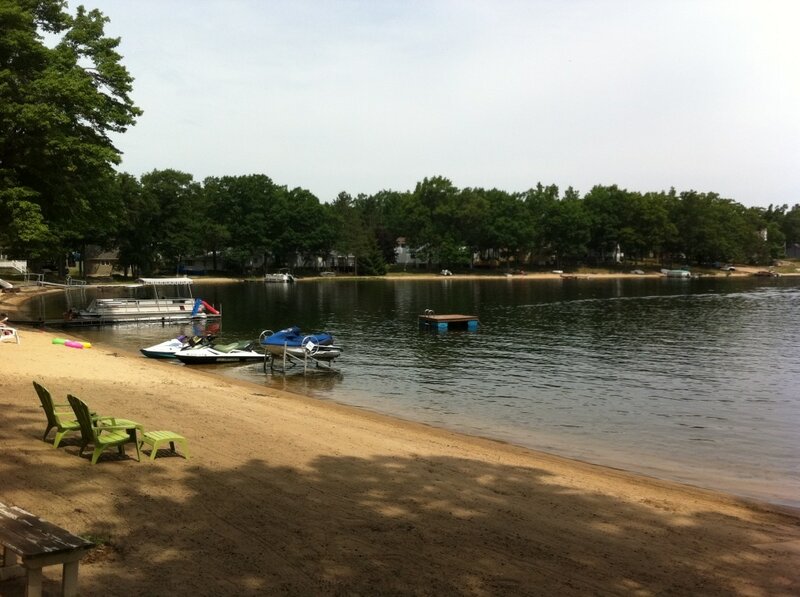 Little Island Rustic Resort is located on Little Island Lake, a 57.5 acre all sports lake. We have over 100 feet of sandy beach front. 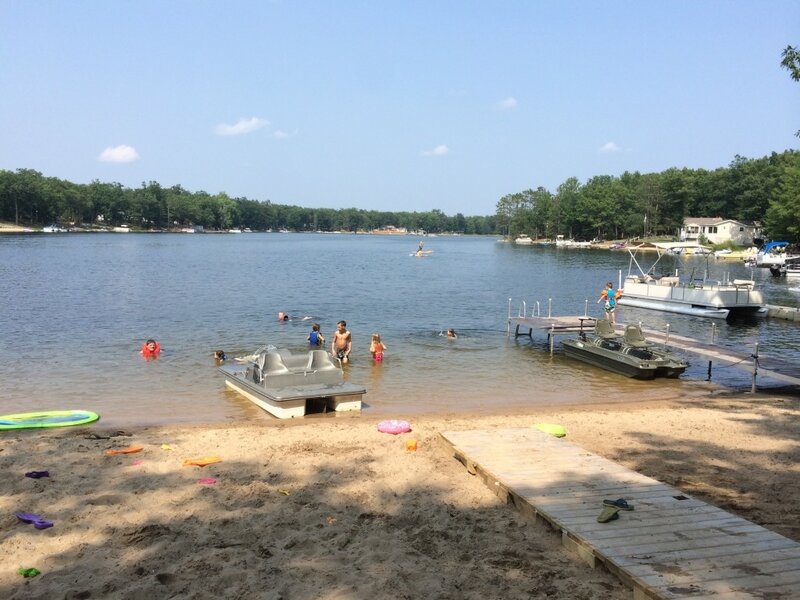 We have many water toys available to guests including: a paddle boat, 2 seat bass boat w/ electric motor, 12ft aluminum fishing boat, 2 stand up paddle boards and many rafts and sand toys. We have also recently added a large floating raft. Little Island Lake has great fishing for pan fish, crappie, bass and pike. We have a 25 ft dock which is great to fish from. There is a private boat launch located at the end of Oak St. Parking is not available at this launch. The resort also has a large community fire pit located in the center of the property. Great for roasting marshmallows!